Despite constant calls for bloodshed on the streets in opposition to President Trump, prominent leftists are demanding more gun control in response to the GOP shooting in Alexandria, Virginia. Virginia Gov. Terry McAuliffe, a Democrat, even claimed we lose "93 million Americans a day" to "gun violence," despite there only being around 320 million people living in the US. "This is not what today is about but there are too many guns on the street," the governor told reporters on Wednesday. "We lose 93 million Americans a day to gun violence." 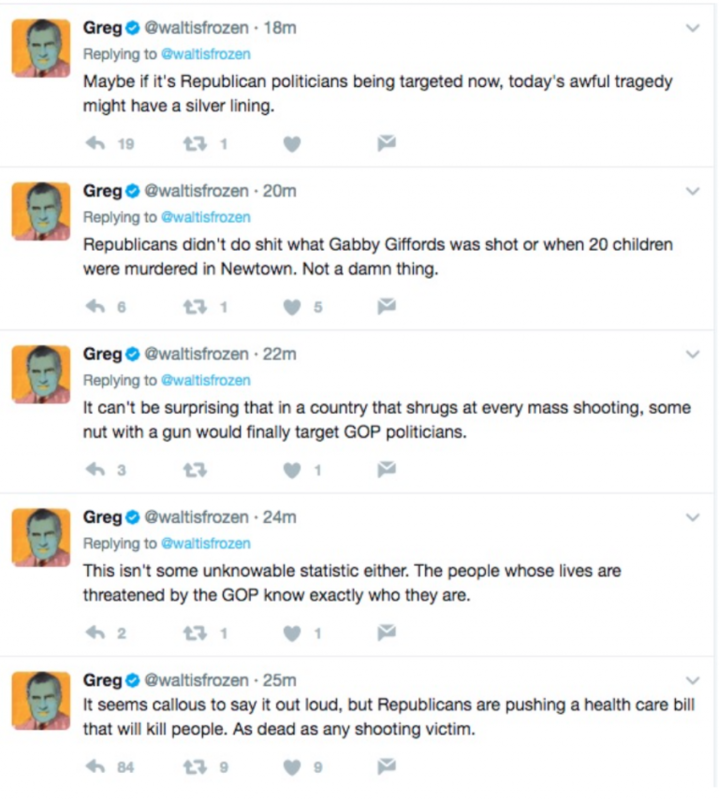 Other leftists took advantage of the shooting to push�the hashtag #guncontrol. But wait a second, hasn't it been leftists who've been advocating violent protests? 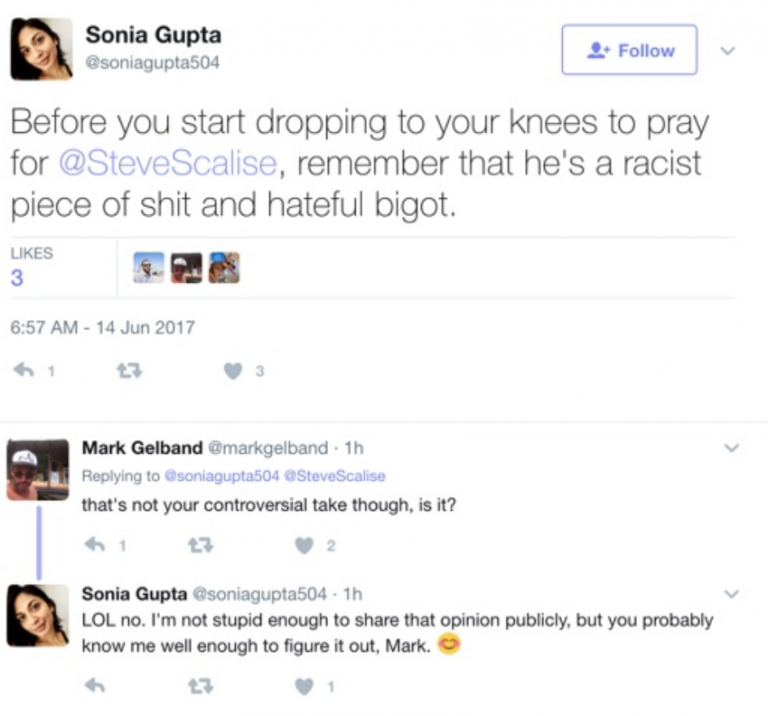 There's plenty of them celebrating the shooting of Rep. Scalise (R-La. 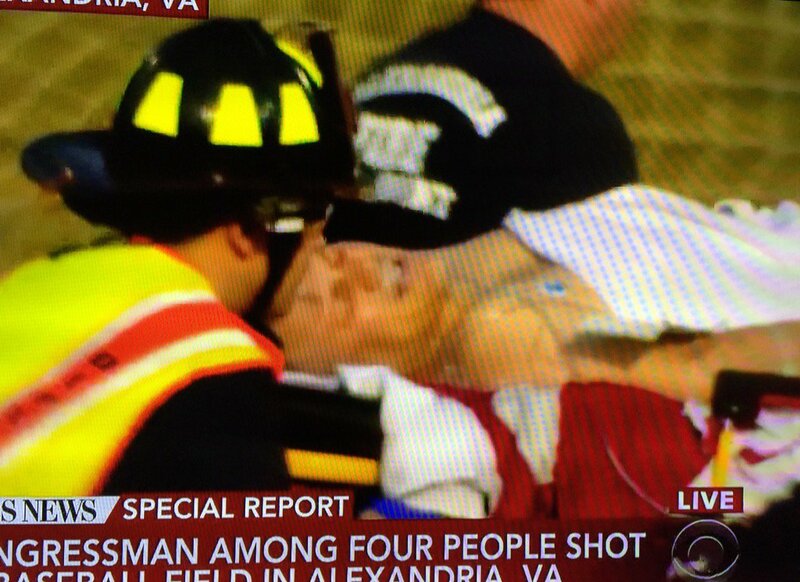 ), despite them pushing gun control at the same time. Remember the Broadway play depicting a violent assassination of President Trump? And what about Kathy Griffin paying tribute to ISIS by holding up Trump's "severed, bloody head" in a mock video? Also remember the Berkeley riots where Trump supporters were savagely beaten, including the man smashed in the head with a bike lock by an Antifa member? And let�s not forget Snopp Dogg who �assassinated� President Trump with a .357 in a rap video, despite the fact that he once advocated gun control. This was all part of the establishment�s strategy to create an atmosphere where it seems �acceptable� to kill the president and his supporters, which has now accumulated with a deranged lunatic shooting up a GOP baseball practice.